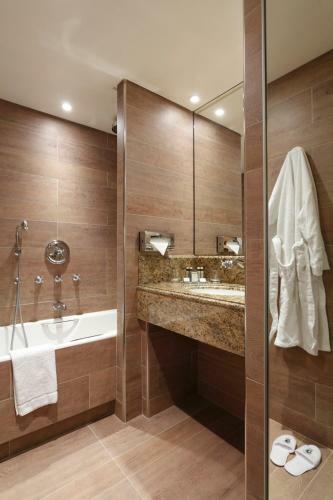 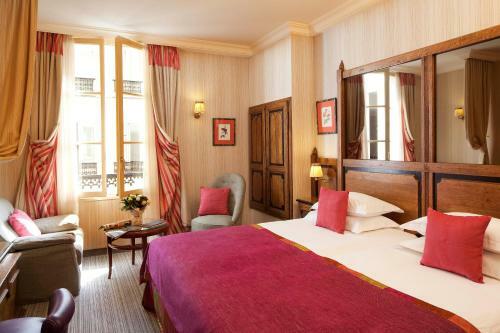 The Manoir Saint Germain is located next to the Saint-Germain-des-Prés Metro Station. 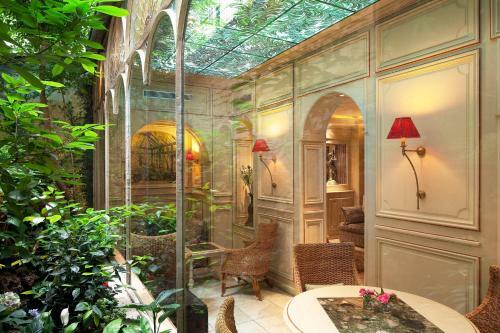 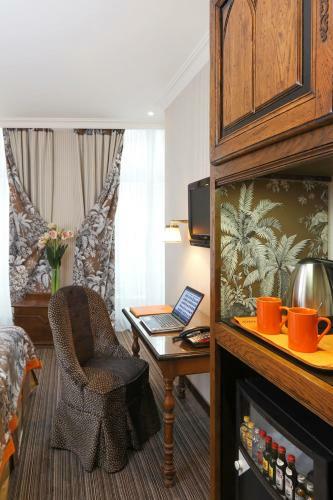 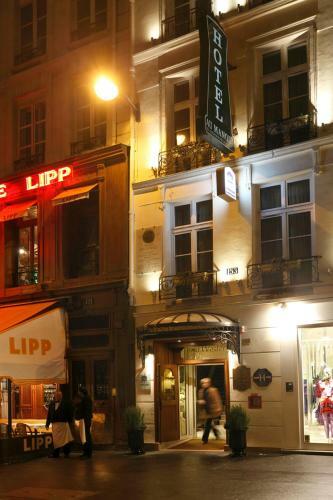 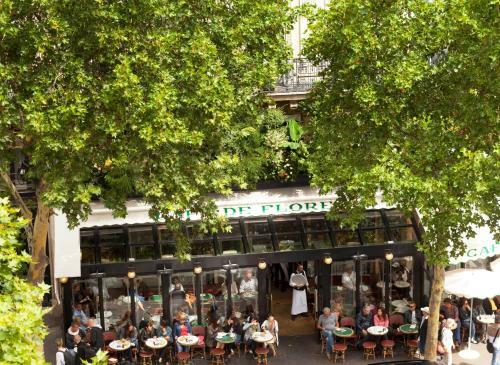 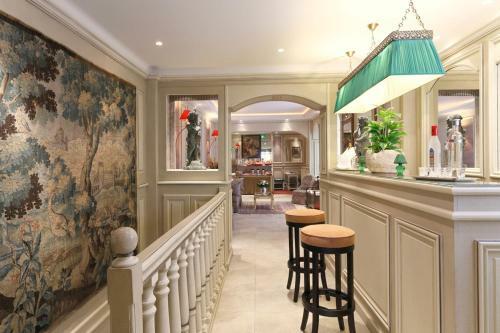 This 4-star hotel overlooks the Deux Magots café and offers soundproofed accommodation with free internet access. Each guest room at the Manoir Saint Germain has a traditional décor with woodwork beds. 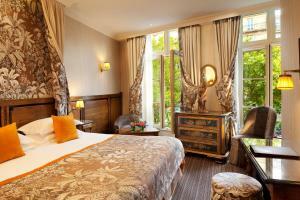 They are also equipped with a flat-screen satellite TV, a minibar and air conditioning. 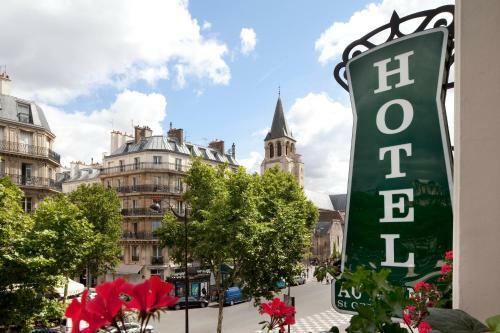 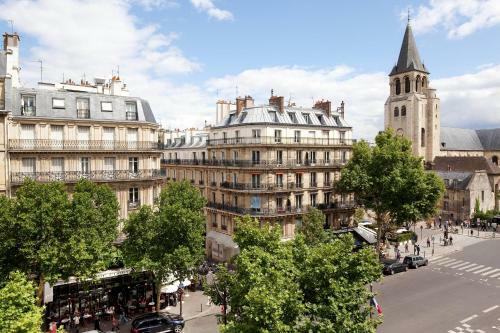 Some rooms have a view of the Saint-Germain-des-Prés Church and the Deux Magots café. 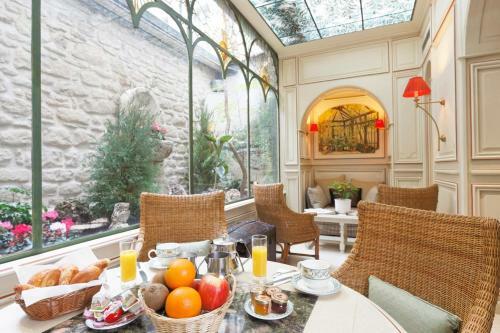 A breakfast buffet is served daily and guests can relax in the bar or on the patio. 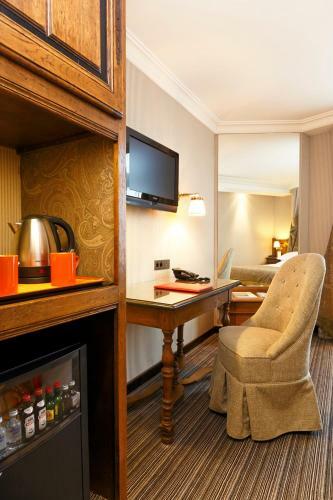 The hotel also provides a 24-hour reception with a tour desk. 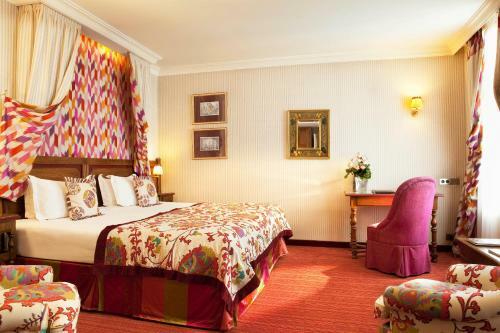 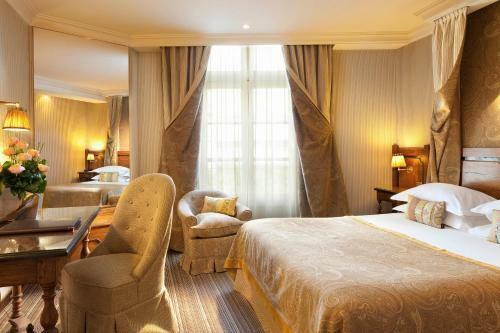 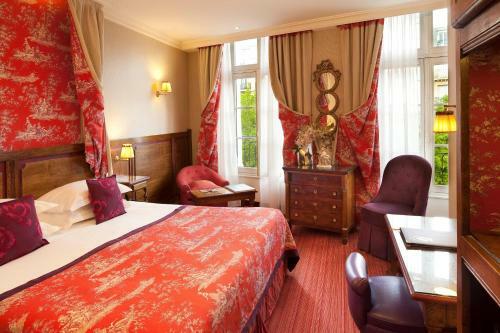 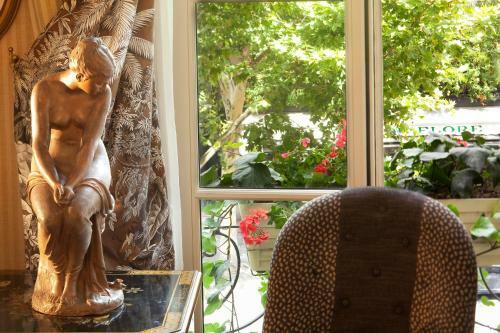 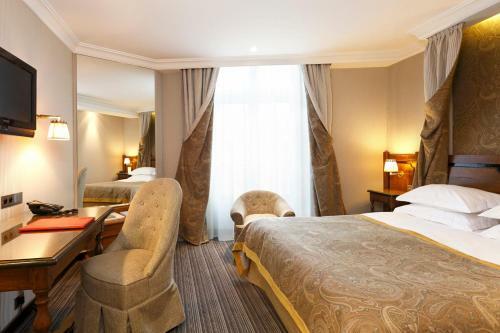 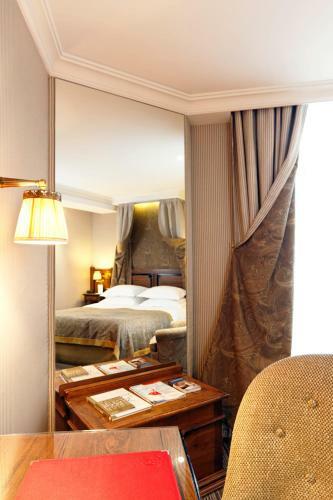 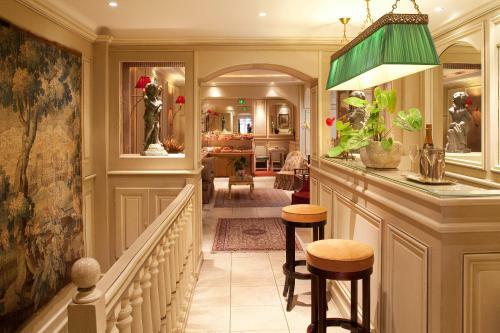 Au Manoir Saint Germain is just a 15-minute walk from the Musée d’Orsay and Le Louvre. The hotel is a short Metro ride from the Champs Elysées and the Eiffel Tower. Luxembourg Gardens are 750 metres from the hotel. Please note that the credit card used for the reservation will be requested upon arrival. 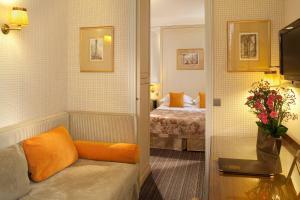 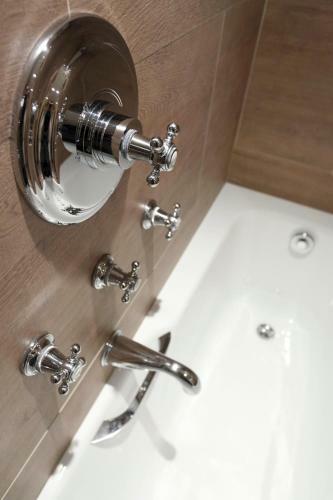 Combining a contemporary and elegant style, the rooms offer satellite TV and a minibar. Extras in this room include a view of the Saint-Germain-des-Prés Church or the inner courtyard of the hotel. 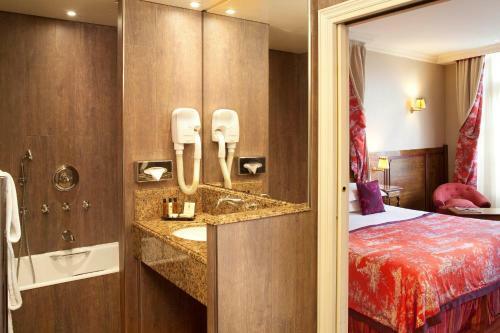 No extra beds can be accommodated in this room. 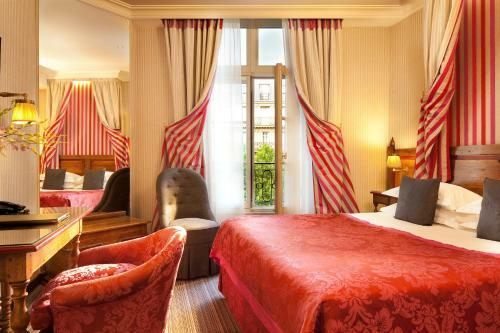 Rate: € 167.00 ... € 381.00; select dates below to get current rates. 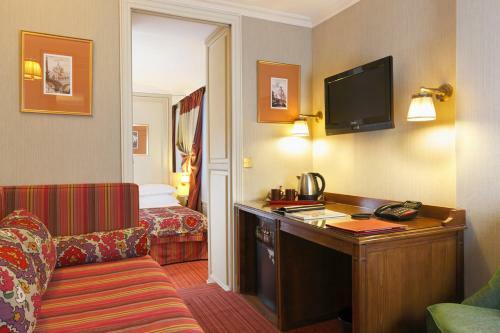 Combining a contemporary and elegant style, the rooms offer satellite TV and a minibar. This room can accommodate an extra bed. Combining a contemporary and elegant style, the rooms offer satellite TV and a minibar. 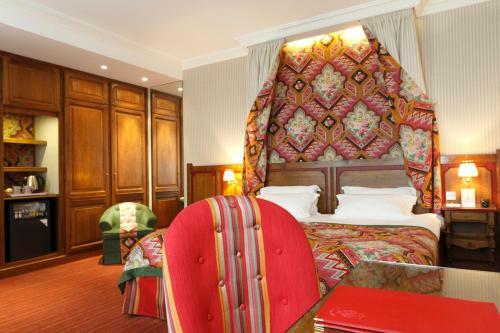 This room cannot accommodate an extra bed.